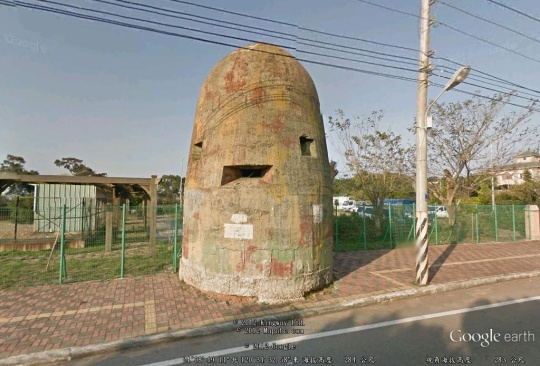 [Update]: Many thanks to Michael Carl, who provided information on the pillboxes on CCK Air Base, and to Mark Spearman for the info on the pillboxes on Tainan and Kangshan Air Bases. This post has been updated accordingly. 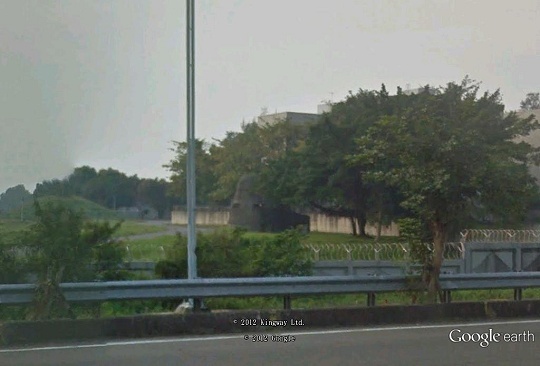 The concrete pillbox in the top photo is just off the east perimeter of the now-abandoned Taichung Shuinan Airport. 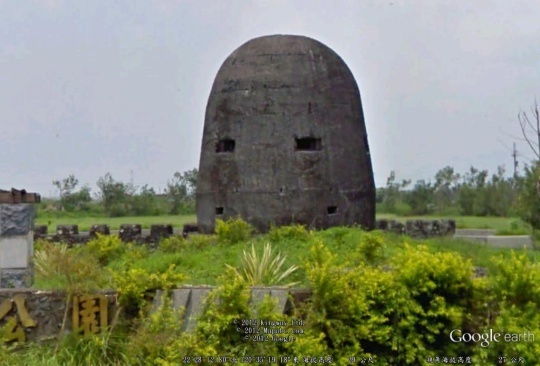 There are quite a few pillboxes like this one on Taiwan, which was built by the Japanese army during WWII. I had been wondering what they were for and what were inside until I found the drawings below in the Japanese archive. The first drawing shows the concrete wall is 80-cm thick. There is a cavity on the top for mounting an anti-aircraft cannon (MA). Below the cannon emplacement, there are embrasures for machine guns (MG). The ground level has larger embrasures for field guns (A and AB). 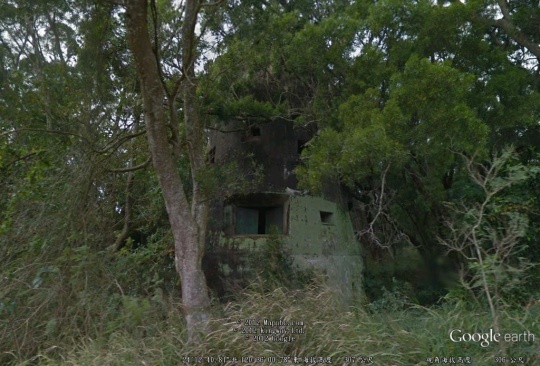 (But how was the field gun moved inside the pillbox? Was the gun “built in”?) Parts and ammunitions are stored below the field gun. Beneath the storage is a vertical tunnel. 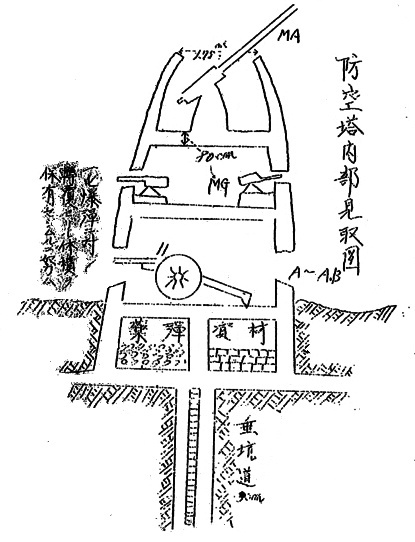 The second drawing depicts that the pillboxes are inter-connected by underground tunnels. These tunnels lead to an underground rest area. Deeper down there is a bullet-shape hollow, whose function is not clear. 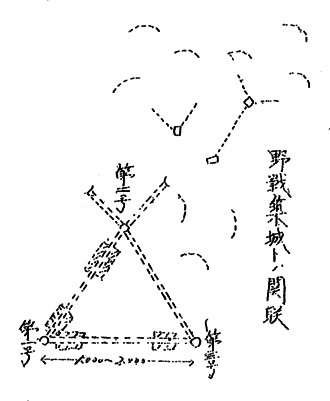 Three inter-connected pillboxes form an interlocking defense system providing covering fire to each other, as shown in the third drawing below. Each pillobox is spaced 1000 to 2000 meters apart from the other. The drawing also depicts several rectangular or square pillboxes, which are not as tall. 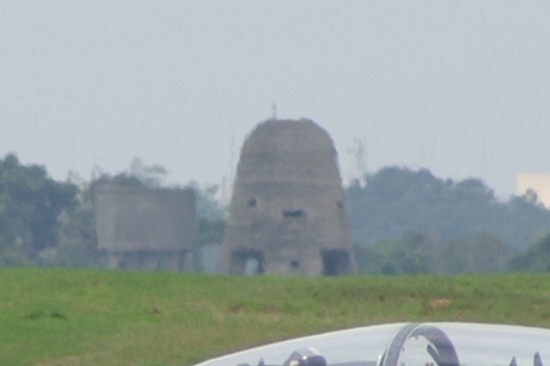 These pillboxes are often placed around airfields. So far I have found three in the greater Taichung area. There could have been more since there used to be four airfields here, but it is almost impossible to know how many have been torn down. 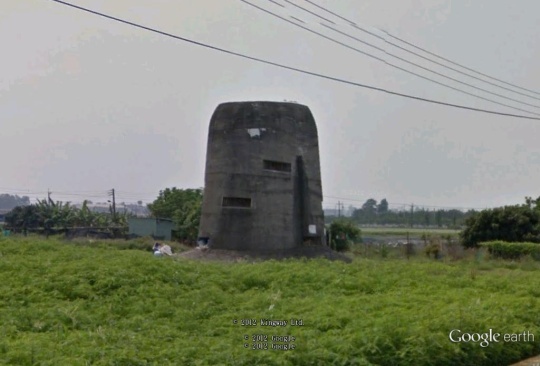 In the following, I list those pillboxes on Taiwan which can be seen on Google Earth‘s Street Views. The one in the image below is located in Taichung Metropolitan Park. It is of the same type as in the top photo. This type of pillbox has several variations. 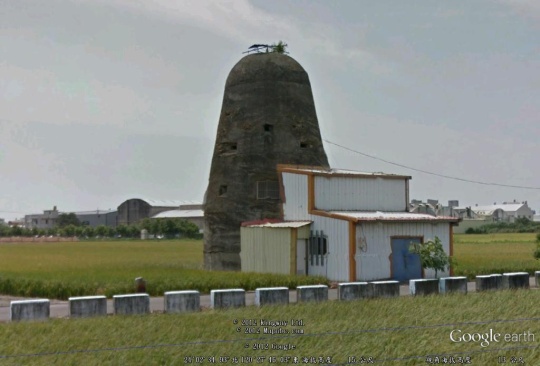 The one below, which is not as tall and does not have the field gun embrasures, is found by Youyuan Road in Dadu District. Prompted by Michael Carl’s comment, I found in my photo archive the following image that I took on CCK Air Base in 2006. The pillbox in the image is a different one than that described by Michael. I visited the next one in Fuxing Township, Changhua County, in 2010. Somebody has put a window on the field gun embrasure. 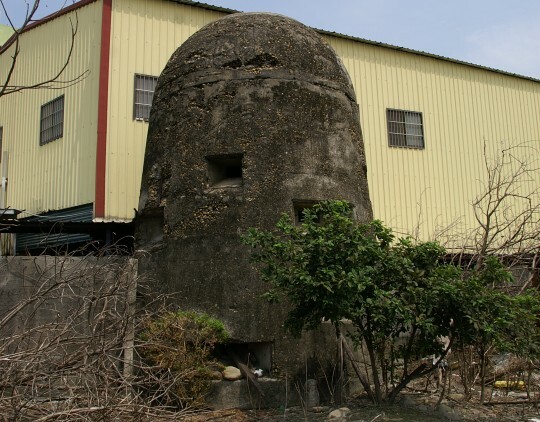 This pillbox and the other one , which can only be partially seen on Street Views and is not shown here shown below it were built to guard the former Changhua Airdrome. 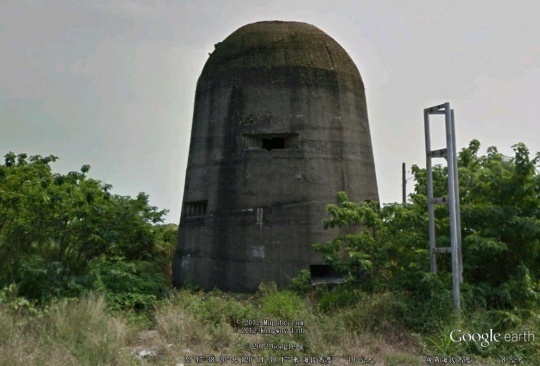 Mark Spearman emailed me after seeing my post and gave the coordinates of the two pillboxes in Tainan Air Base, whose photos are shown below. The one in the next photo can be found along Route 17 in Mituo District, Kaohsiung City. 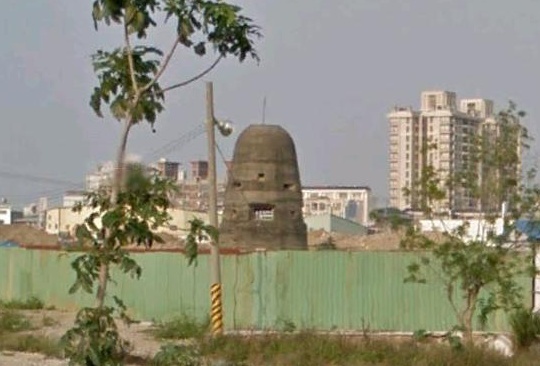 The government of Xinpi Township, Pingtung County, has built a park around the pillbox below. 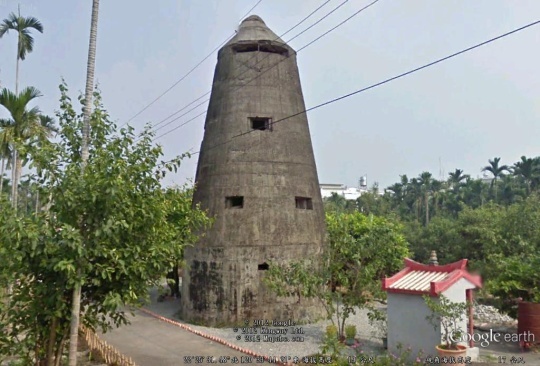 The one in the next photo, which is located in Jiadong Township, Pingtung County, is said to be featured in the hit movie Cape No. 7. But I did not notice it when I saw the movie. In the early 1970s I was stationed at CCK Air Base near Tai Chung. I’d seen the concrete haystack many times, and one day Don Mosher and I decided to check it out. We discovered that we could not get into the structure from the outside–there was no entrance. A short distance away to the southwest, we found a depression in the ground and a tunnel opening. As we went down the tunnel there were a number of small storage areas along the side, and if I remember correctly at least one that would have been the right size to be a personnel checkpoint. We found rungs on the side of the tunnel at one point and we could see light at the top. Climbing up them, we found ourselves in the bottom of the haystack. Further exploring revealed that it was just as you described, except that mount you described in the top was made of iron, obviously to mount a large weapon. There was nothing in the tunnel or tower to indicate that it was being used, although it was clean (no trash). 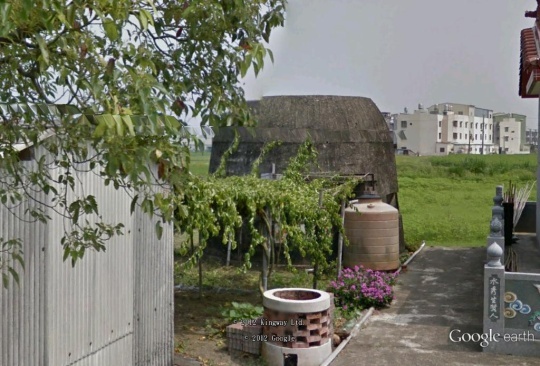 A check of Google Earth shows it is still there at: 24-15-13.91N and 120-36-58.05E. 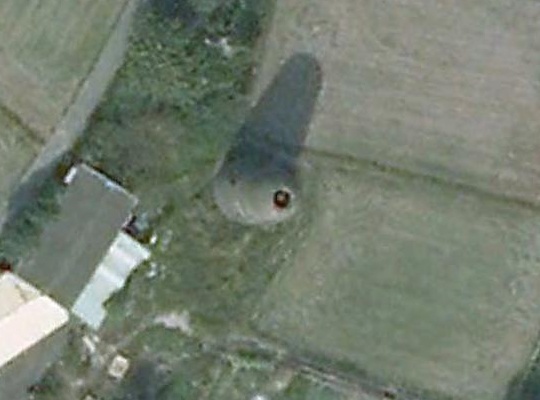 You can make out the tower shape from its shadow. Reminds me of a conical structure I saw near downtown Taipei, at the Taiwan Railway Administration HQ. Here’s a photo I snapped a few years ago. I know there have been renovations going on there in recent years, so it might be gone now. Thank you very much for the very interesting story. 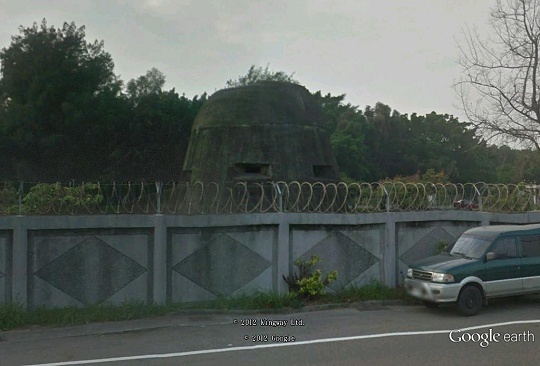 I realized that the pillbox you mentioned is located INSIDE CCK Air Base. No wonder no other people have ever talked about it. I have incorporated its location into Google Maps. Many thanks!